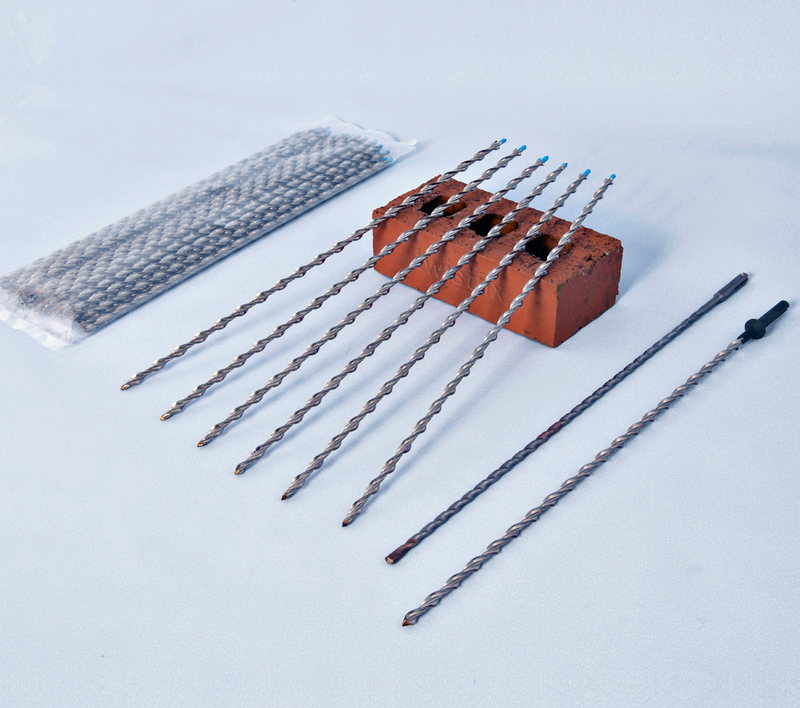 Masonry ties are 450mm long drive pins that are exclusively available from Twistfix. 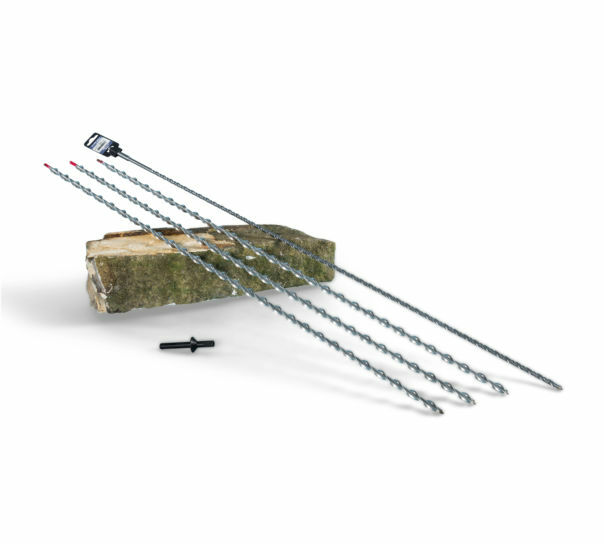 The patented stainless steel Airtwist ties corkscrew into brick, block, concrete and masonry when driven into an undersized pilot bore. 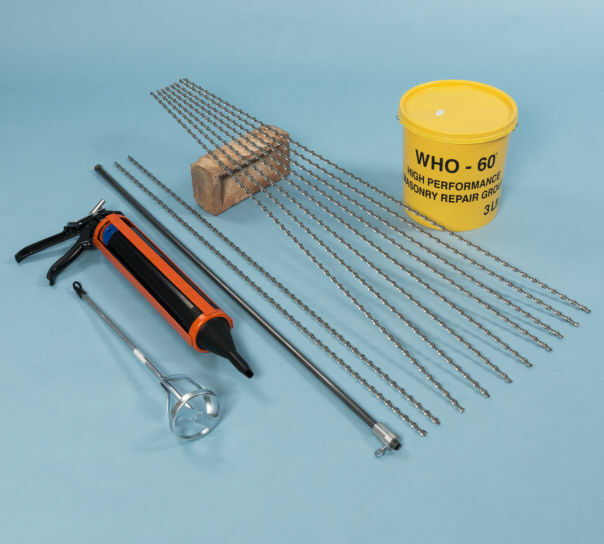 The helical ties are ideal for tying solid façade walls back to party walls without the need for grout. Simply drill the pilot holes at 300mm vertical centres. 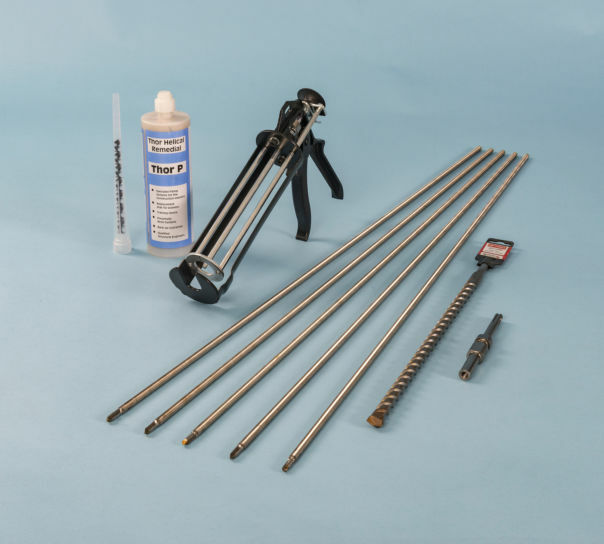 This dry-pinning system is at least 50% cheaper in material cost to traditional resin or cement grouted fixings and at least 10 times as fast to install. 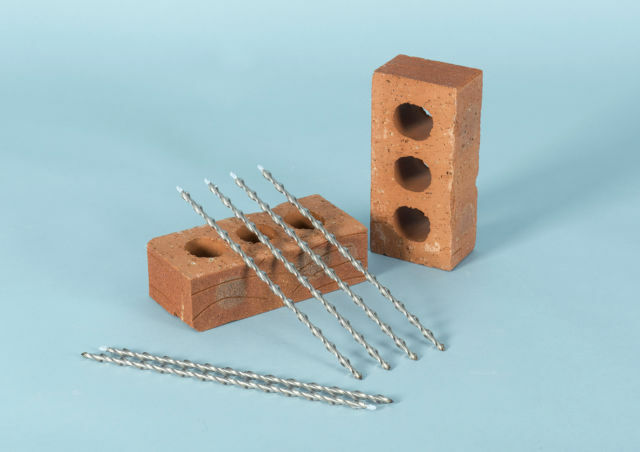 Try using the long masonry ties as dry-fixed dowels in existing floor slabs prior to the pour of adjacent concrete slabs. Spoke to Ray in Technical who offered good help, order was taken and despatched on time - drive pins being fixed as we speak - drill bits wore out quickly though.